Shop at any merchant this Independence Day and Rakhi on 14 th,15th & 16th august from 10 AM to 10 PM & get 70% cashback upto Rs. 100. --> Offer is valid on any merchant transaction through “Pay with PayZapp” provided customer is registered for PayZapp at the time of transaction. 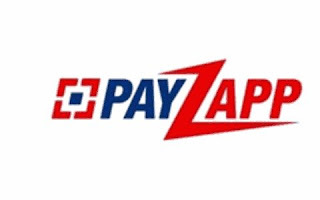 How to get PayZapp Independence offer 70 % Cashback on merchant transation? • Do any merchant transaction, Mobile Recharge via PayZapp or any transaction from 10am to 10pm on 14th, 15th & 16th Aug 2016. √Done! You will Get 70% cashback upto Rs. 100 in 5-10 working days. - This offer is stand alone and exclsuive offer. - Offer Applicable for transactions done on 14 th,15th & 16th august, timing (10 AM to 10 PM). - Offer not applicable on Load/Send money. - A customer is eligible for maximum cashback of Rs.100 during offer period. - Customer must have a verified PayZapp Mobile Number to avail the Cashback. - PayZapp reserves the right to end any or all offers at their discretion without any prior notice. - Cash back will be auto-credited within 5 working days after the date of transaction. - In case the transaction is cancelled or left undelivered at merchant’s end, a refund will be initiated within the next 10 working days.